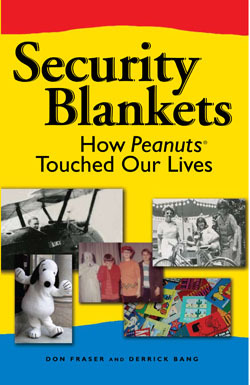 Security Blankets: How Peanuts Touched Our Lives, a collection of heartwarming, poignant, uplifting and celebratory tales of how Charles M. Schulz and his characters have made an impact on us all, was published in April 2009 by Andrews McMeel Publishing, a long-time participant in the Peanuts franchise. 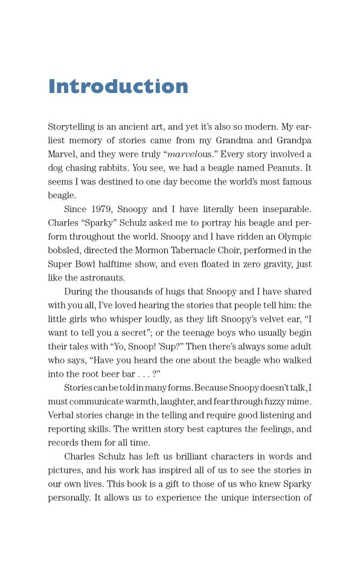 The book is co-edited by Web guru Derrick Bang, author of 50 Years of Happiness: A Tribute to Charles M. Schulz and Charles M. Schulz: Li'l Beginnings; and Don Fraser, a former Peanuts master licensee for more than 35 years, and co-founder of Aviva Enterprises and founder of Inetics Inc. 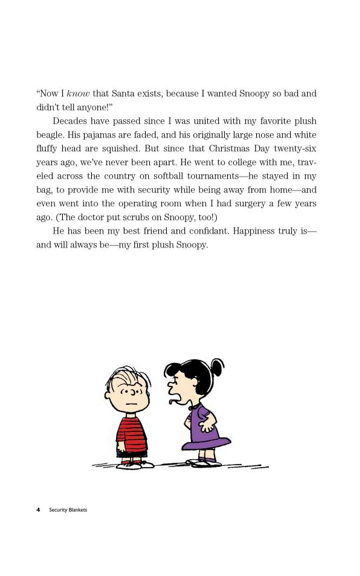 Readers will discover more than 50 personal anecdotes between the covers of Security Blankets, written by avid Peanuts fans and "jes' plain folks" whose lives have been touched by Charlie Brown, Snoopy and the rest of the gang. Charles M. Schulz and his beloved comic strip, Peanuts, have changed the world. In Security Blankets, Fraser and Bang present a heartwarming collection of 51 touching true stories to show the connection people have with the adored cartoon. Stories, photos from the contributors, and Peanuts artwork make this work extra special. The connections are so strong they've even had the power to change people's lives. Take, for example, the Vietnam POW, whose first piece of correspondence while in captivity was a Snoopy card that included a picture of his wife and children. 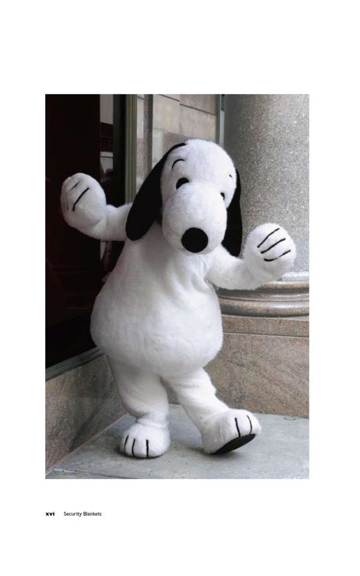 Or the 5-year-old boy from Boston who demanded that his stuffed Snoopy accompany him to the hospital for a high-risk surgery. Connections such as these show how Peanuts has become a security blanket for thousands. This is chicken soup for the Peanuts lover's soul. But what made this drawing different was the unique 'countdown calendar' that my father had drawn on Snoopy's belly. Each square on the calendar, which my sisters and I would cross out, meant that our dad was one day closer to coming home. Every time a square was marked off that drawing, Snoopy brought a bit of happiness and security to a war-weary and scared ten-year-old girl who desperately missed her Daddy. 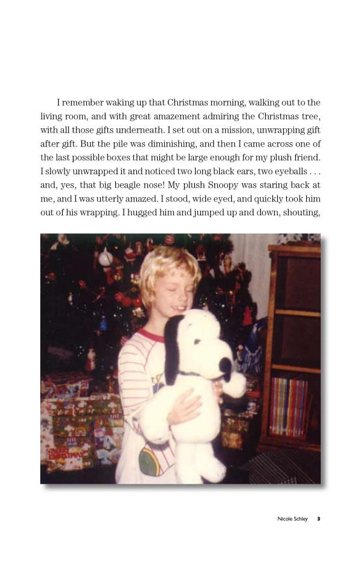 Did Snoopy help bring my father safely home from the Vietnam War? Maybe, maybe not. But to this day, whenever I see Snoopy -- especially when he's performing his happy dance -- my heart is grateful and filled with loving memories of my Dad. Spot "line art" illustrations by Charles M. Schulz. Published by Andrews McMeel; visit them at their Web site. The book is available at all retail outlets, and can be ordered at Amazon.com; find out more here.